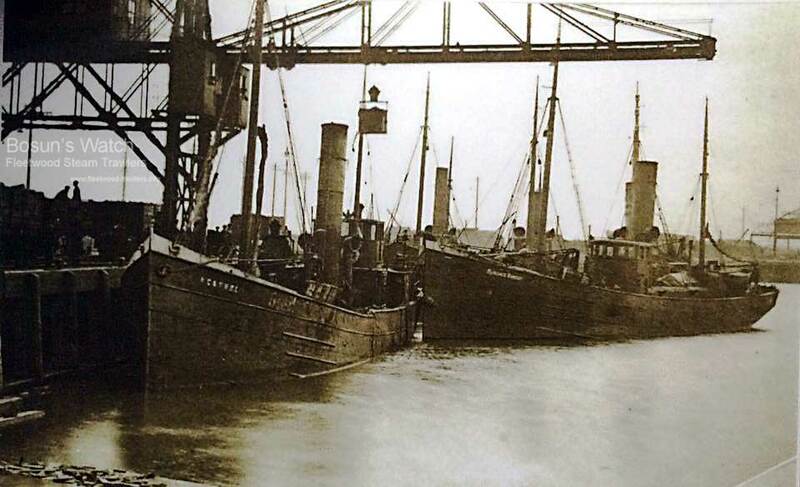 21.7.1898: Launched by Cochrane & Cooper Ltd, Beverley (Yd.No.216) for Thomas Baskcomb, Grimsby as KESTREL. 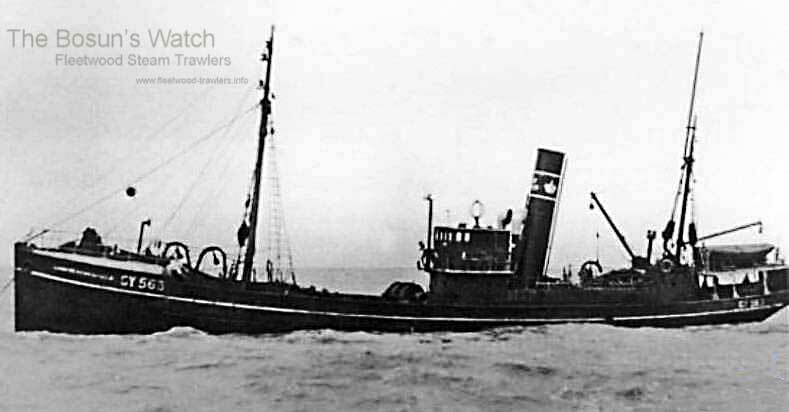 13.9.1898: Registered at Grimsby (GY831). Thomas Baskcomb designated managing owner. Later fishing out of Fleetwood. 1.1911: Sold to Alick Black, Grimsby. Alick Black designated managing owner. 3.12.1912: Sold to Alfred Bannister, Grimsby. Alfred Bannister designated managing owner. 1.1.1914: Tonnage altered to 74 net under provision of Merchant Shipping Act 1907. 17.3.1917: When some 20 miles E by S of Longstone Light, stopped by U-boat (UC50). Crew abandoned in boat and vessel sunk by gunfire. All crew saved. 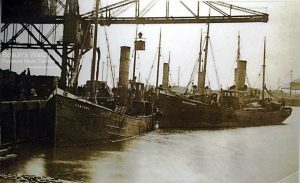 22.3.1917: Grimsby registry closed “Sunk by enemy submarine”. 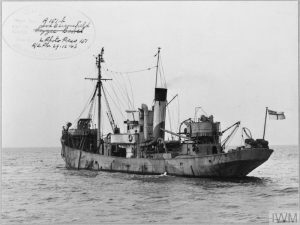 This entry was posted in Lost Vessels, Steam Trawlers, Steamers (Picture) on April 10, 2017 by Fred Smith.